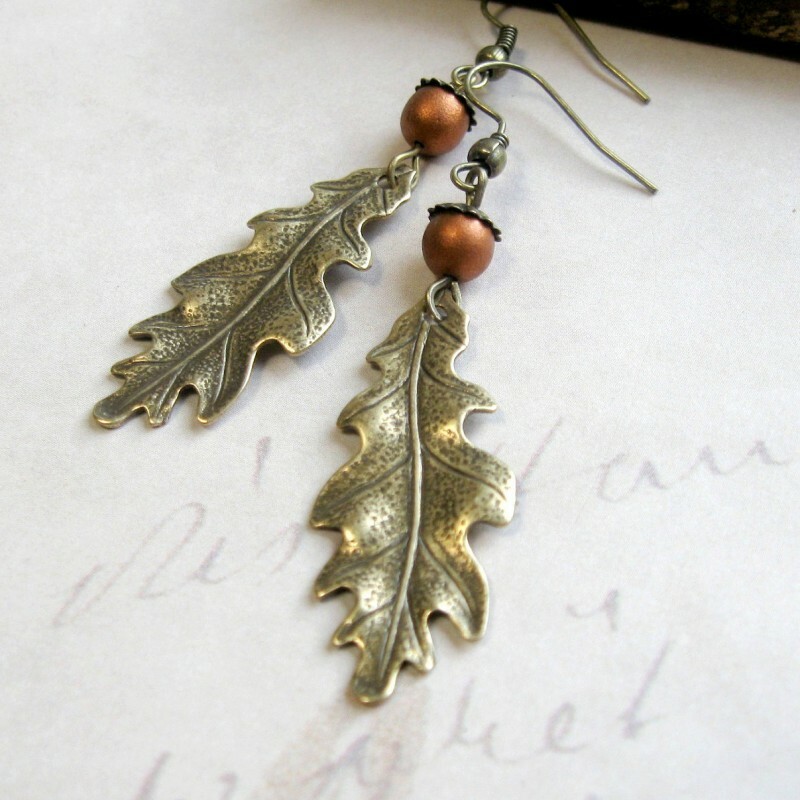 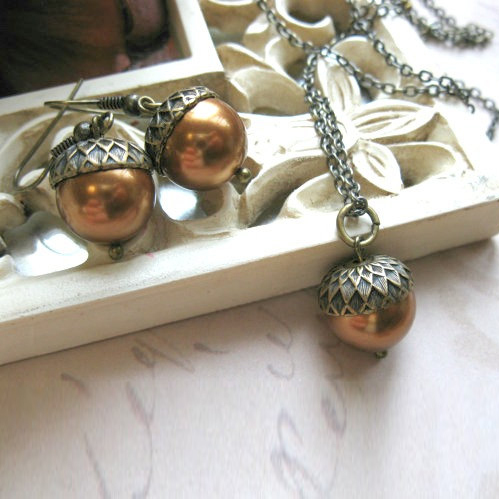 Here is a sweet pair of oak leaf earrings, comprised of solid brass leaf charms, along with copper glass beads, which look like tiny acorns sitting atop the leaves. 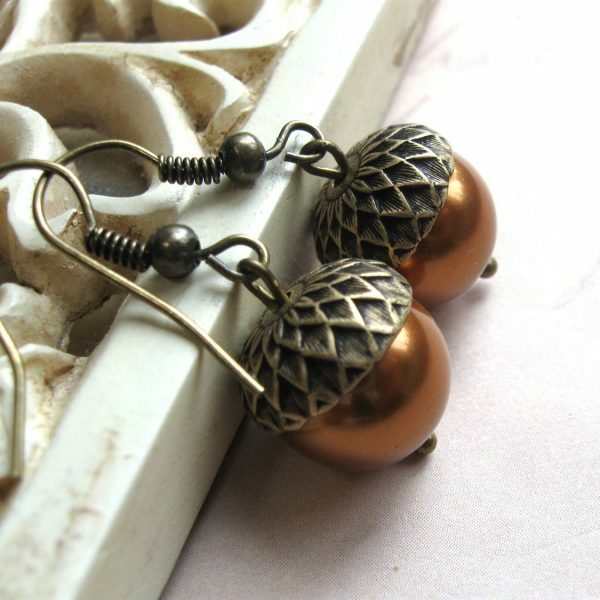 Earrings come on brass ear wires. 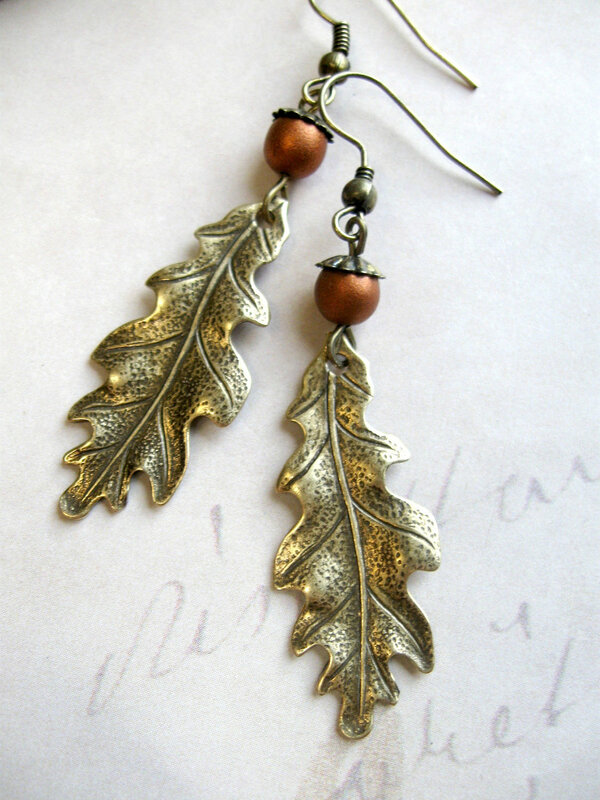 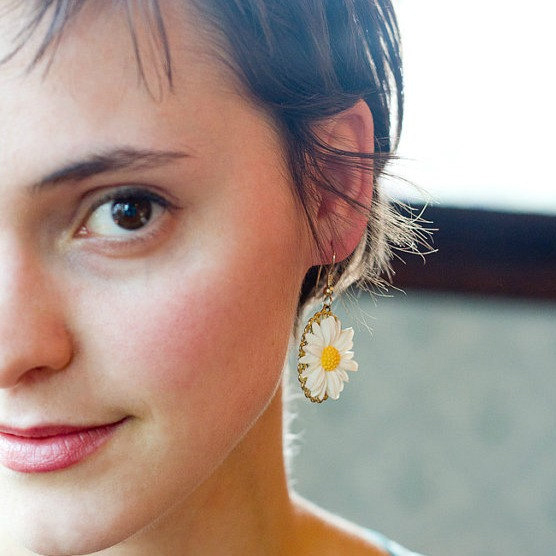 Adorable woodland earrings, perfect for the nature lover!